The heat is on! SuperLenny welcomes the summer with a few great promotions. 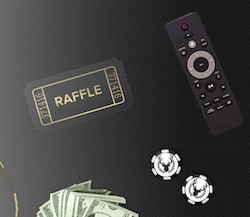 You can win some fantastic prizes such as wager free cash, tech gadgets and much more. If you’re not a member we do recommend you to check out SuperLenny and maybe even sign up right now. If you don’t want to miss out on these generous promotions at this famous UK casino. We’re starting by telling you about the big campaign called “Jungle Fever” at SuperLenny. In this competition you will have the chance to win a share of £10 000. The money will be credited to your account free from wagering requirements. SuperLenny invites you to this rumble in the jungle and to join the adventure you will have to opt-in at the promo page. As soon as you do you will get a ticket for every £10 you wager on the slot Jungle Spirit: Call of the Wild. If you want to increase your chances of winning in the raffle you can collect up to 50 tickets every day. The promotion is up and running and will continue until Sunday, the 11th of June. None the less but 500 players will win a cash prize – 1st prize is £2000! Now you can stop dreaming about the cool gadgets you can see in SuperLenny’s living room. Our gentleman gives you the opportunity to win some of the things that will come in handy to decorate a luxurious living room yourself. Everything is handpicked by the staff at SuperLenny and the prize bundle includes a 42” 3D TV from Samsung, a three seat sofa, a mini fridge from Marshall, a surround sound system and a set of Lenny antlers that you can put on your wall. This prize is worth none the less but £5000! If you want to join the competition you will have to opt-in and after you’ve done this you will get a ticket for every £10 you deposit during the promo period. You can do this until the 31st of June. As you can see it’s easy as pie to compete! The fun doesn’t stop there! On the 16th of June there will be another promotion starting at SuperLenny. From that day and until the 31st of July you will be able to log in at SuperLenny every day and grab a daily offer. It can be all sorts of casino goodies such as free spins free from wagering requirements, reload bonuses, tournaments, raffles and other surprises. Make sure you visit SuperLenny in June 2017!